The MHJHS eighth grade football team picked up their first win in a dominant performance over Sage Valley on Sept. 4 (photo by Sarah Winings). 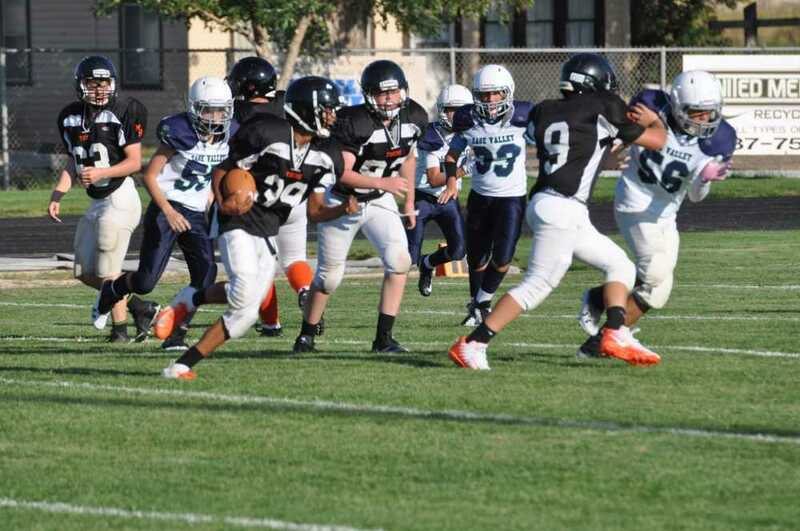 The Mountain Home Junior High Eighth Grade football team won their first game on Sept. 4 against Sage Valley at home. After a loss during the first week of the season the Tigers stormed back in impressive fashion with a 27-0 win over the Diamondbacks. For the full story, pick up a copy of the Mountain Home News or click on this link to subscribe to the newspaper's online edition.